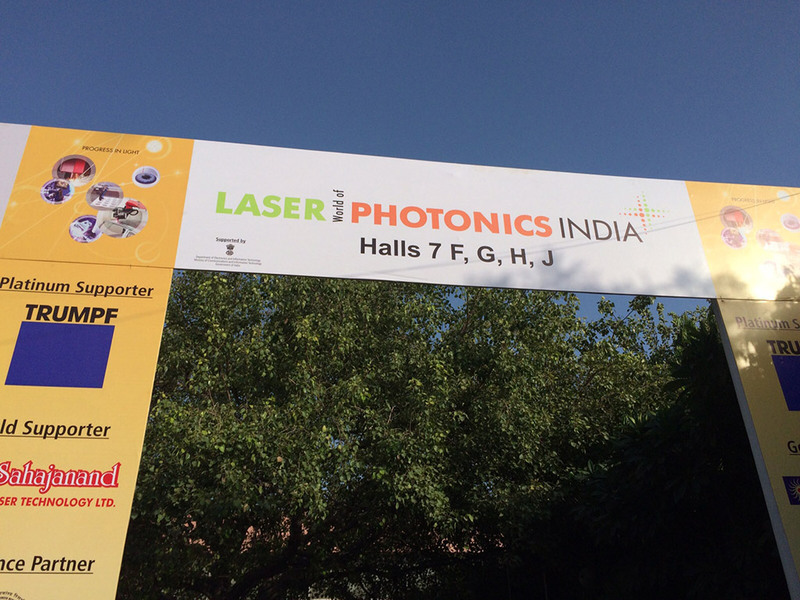 From September 21–23, 2016, LASER World of PHOTONICS INDIA will celebrate five successful years of being India’s international gathering for the laser and photonics industry. The international trade fair started in India in 2012 and has grown since. In 2016, around 160 exhibitors on 4,000 square meters of space with around 7,000 visitors will be part of the fair in Bangalore. 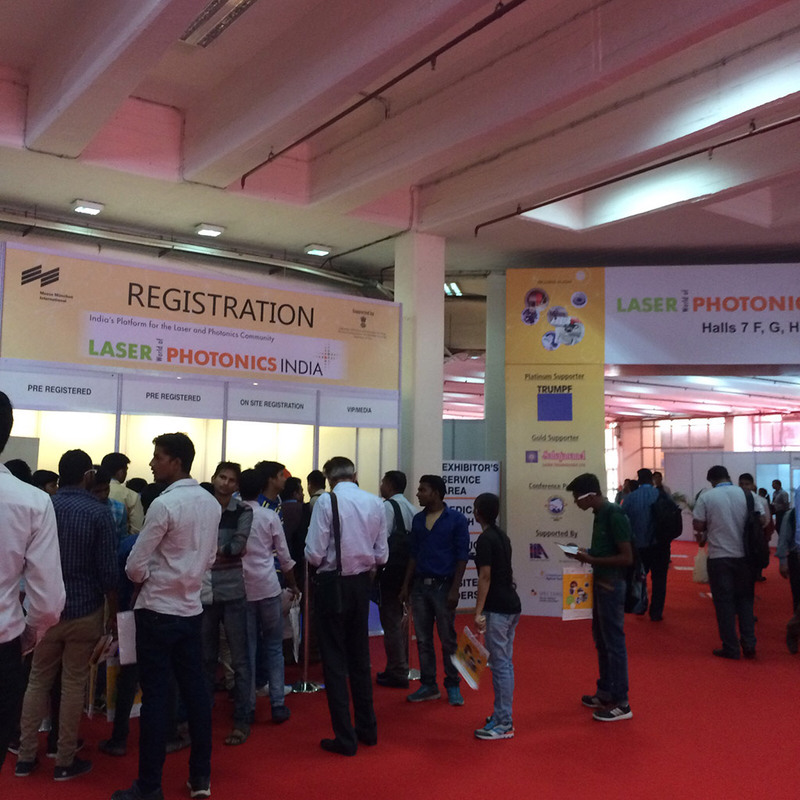 In the spirit of the Silicon Valley of India, this year’s LASER World of PHOTONICS INDIA will show the latest trends and solutions in laser and photonics technology, co-located with electronica India and productronica India 2016, at the Bangalore International Exhibition Centre (BIEC). 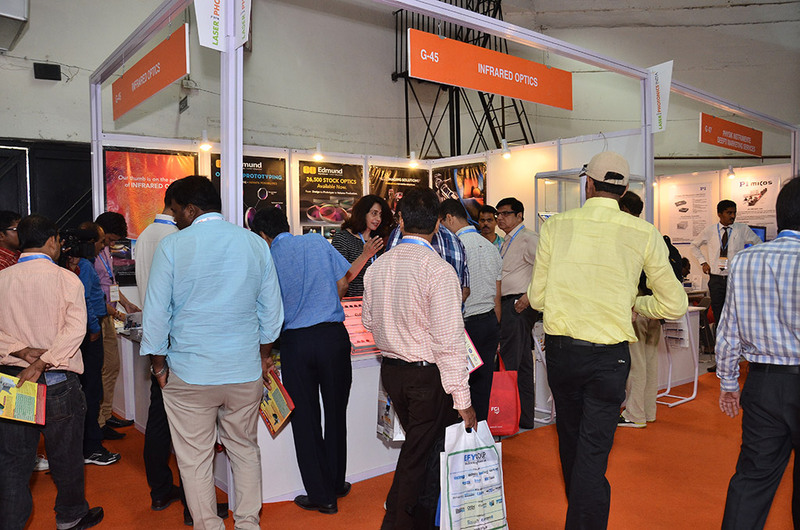 As Bengaluru is the South Indian industry hub for many industries and R&D centers, exhibitors can expect a strong visitor presence from several industries, such as automotive, machine tools, electronics, defense & aerospace, research institutes, engineering schools and polytechnic universities, to name just a few. Among this year’s exhibitors will be many key players like TRUMPF, IPG Photonics, Sahajanand Laser Technology, Scantech Laser, Star Laser, Laser Science, Advanced Photonics, Dynotech Instruments, Jenoptik, Merck, OptoTech, Schneider and TOPTICA Photonics, as well as national pavilions from Germany, China, Japan, Lithuania and Great Britain, who have confirmed their participation at LASER World of PHOTONICS INDIA. “MMI India’s objective for LASER World of PHOTONICS INDIA is to provide a platform that presents the best technologies, practices, developments, brands, know-how and expertise to India’s laser, photonics and optics industry, and to the users of these technologies. In the age of smart technology and rapidly growing demands, LASER World of PHOTONICS INDIA brings to the forefront the required solution offerings based on new technologies to match and support industry needs,” as Bhupinder Singh, Chief Executive Officer of Messe Muenchen India, explains. 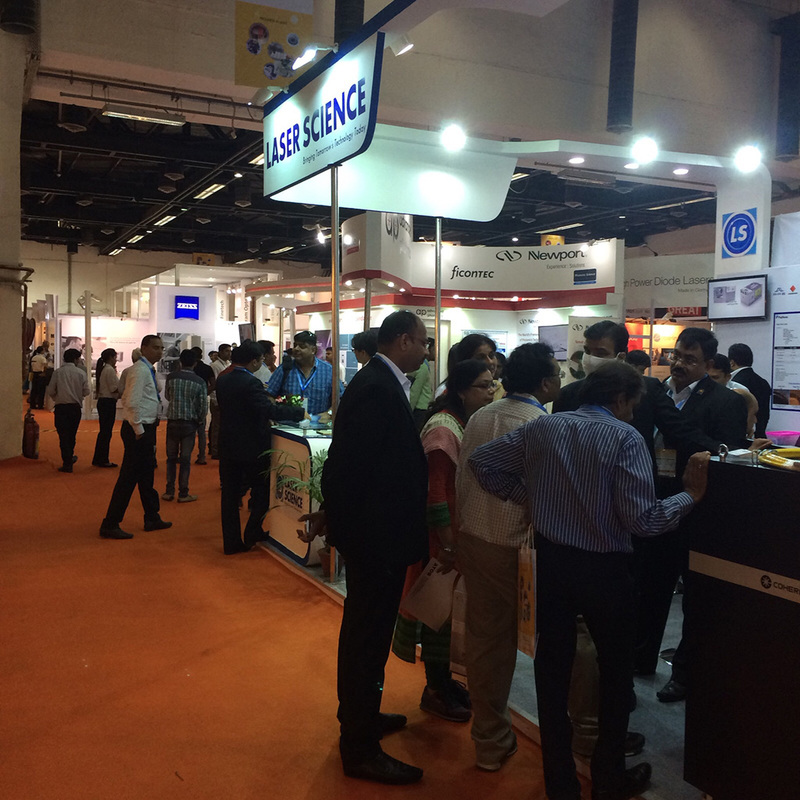 LASER World of PHOTONICS INDIA includes several special topic areas. Visitors will find innovative products and inspiring information in the field of mechanical engineering, additive manufacturing and laser safety at the Machine Vision Pavilion, Additive Manufacturing Pavilion and Laser Safety Forum. The Machine Vision Pavilion helps optimize processes, improve quality and make production monitoring more efficient. Manufacturers displaying lenses, cameras, image processing and lighting will show their latest innovations to OEMs, mechanical engineering companies and system houses. In 2016, two new special areas will also be added to the trade fair: Additive Manufacturing and Laser Safety Zone. The Additive Manufacturing Pavilion shows how 3D printing in manufacturing opens up new opportunities for the industry and changes the scientific world. Today, additive manufacturing is already being used in various industries such as automotive, engineering services, aerospace an medical technology. Achieving a safe laser environment at any production or research location should be a priority for anyone who constructs, implements or uses laser technology. The Laser Safety Forum at LASER World of PHOTONICS INDIA 2016—a comprehensive point of information, learning and networking for both exhibitors and visitors—will therefore cover all aspects of laser safety practice and hazard control. Laser safety experts will share their know-how and give instruction on the practical applications of laser safety. Manufacturers of laser safety products will have the opportunity to meet new customers and help them make their work safer. The Laser Safety Forum will explore everyday scenarios that may be encountered by any user involved in laser activities. Bayerisches Laserzentrum (blz), the laser center on applied laser technology based in Erlangen, Germany, is partnering Messe München for the Laser Safety Zone. “Seminar on 3D printing & additive manufacturing applications”: A specialized seminar focusing on laser-based plastic and 3D printing technologies and their industrial applications in aerospace, automotive, defense and biomedicine. The seminar, organized by Messe München India in association with the Additive Manufacturing Society of India (AMSI), will take place on September 21. The “Conference on recent advances in lightwave technology” (CRALT 2016) focuses on optical engineering, an emerging technology with far-reaching applications and implications. This new conference features half-day tutorials on emerging topics and celebrates the 100 years of OSA, The Optical Society, which is a tutorial sponsor. CRALT 2016 is being staged in cooperation with IEEE Photonics Society Bangalore Chapter, Messe München India, and will be held from September 21–23.